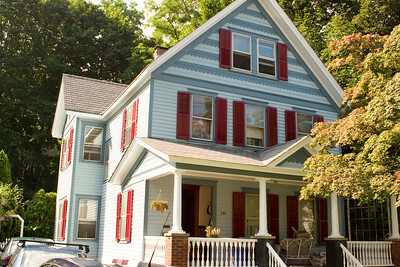 Photo of my Mom's house in Port Jefferson, where I grew up. 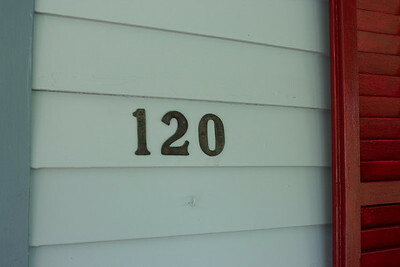 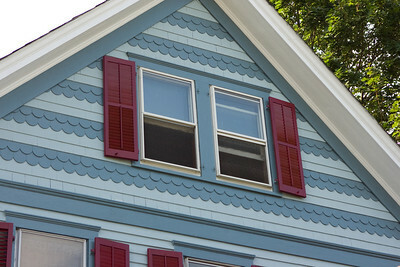 Recently repainted. 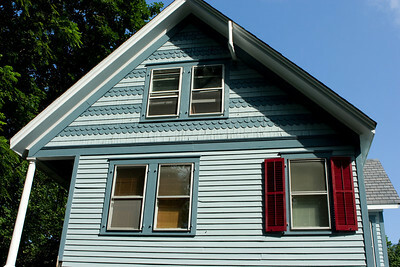 The new paint job, and new (non-slate) roof. Abby, Mom, and Richard in the back. 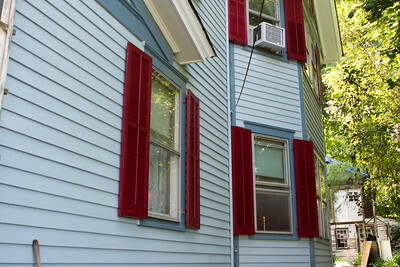 Some shutters were missing - we dug them out of the basement. 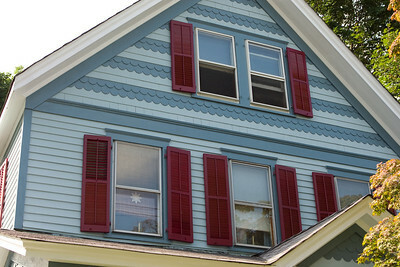 Front of the house, attic windows.